Thanks so much for stopping by for the third part of my series on Classroom Management! If you missed my first two blog posts in this series, feel free to check out Part One: The Wheel of Choice and Part Two: I-Statements and Apologies. 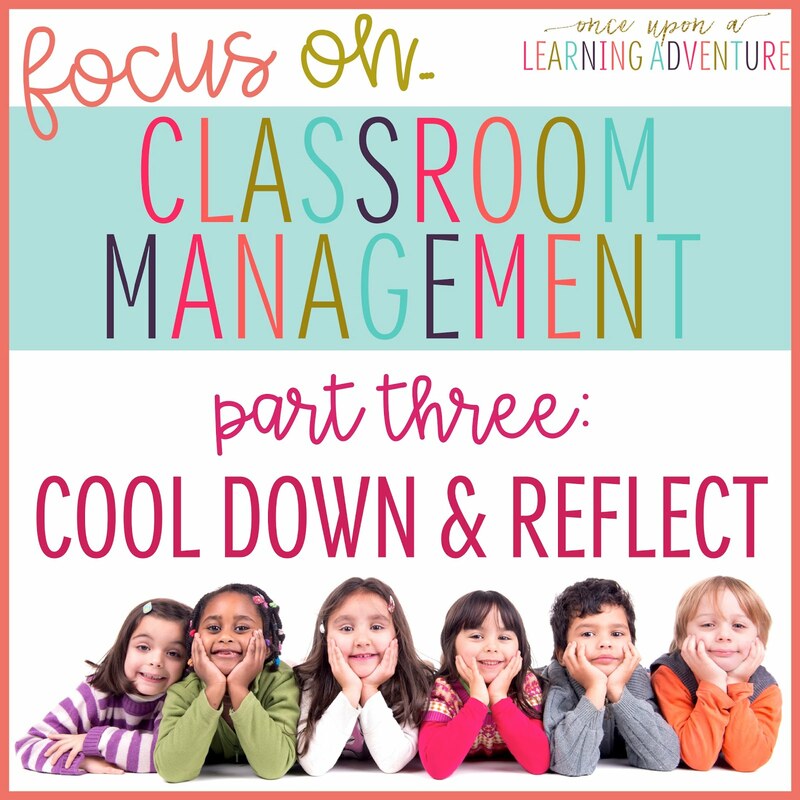 Today's focus is Part Three: Cool Down and Reflect. As someone who is always on the go myself, I can totally relate to my students when it comes to sometimes not wanting to take a break. It seems like kids just want to go, go, go, and while this is great in many ways, sometimes it is important to teach kids to stop and think every once in a while about their actions. 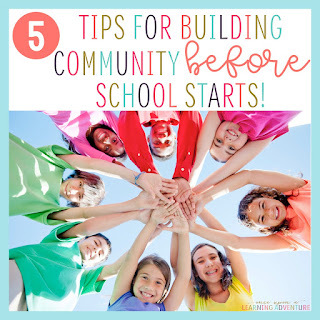 Teaching children to take a break to reflect allows them to think about how their actions impact themselves and others, and it encourages them to consider alternative behavior choices that might have a better outcome in the future. 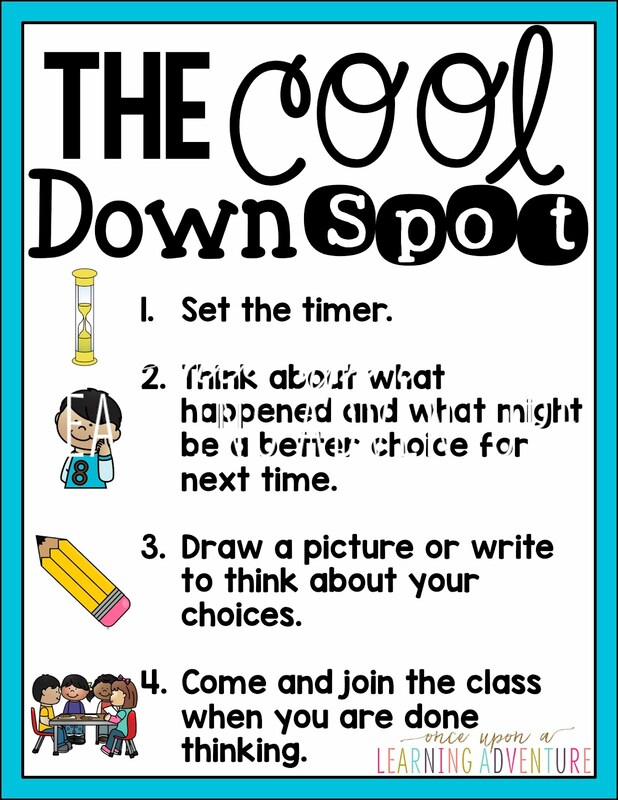 To teach students to take a break to think about their actions, I really like to implement a Cool Down Spot in my classroom. This spot, which doesn't actually have to be a permanent location (a bucket of cool down tools works great, too! ), gives students a safe place to take a break and simply think. I try to make this spot a safe zone, which means students are not "in trouble" when they come here, and they can do so by their own choice, although I do sometimes give students the option of going to the Cool Down Spot when I can see that they need a little help in regulating their behavior. I like to keep a timer with my Cool Down Tools as well as some hand fidgets and stress reliever balls. 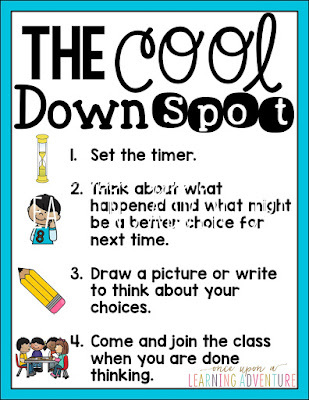 When students visit the Cool Down Spot, they follow the procedures below, which we practice at the beginning of the year. 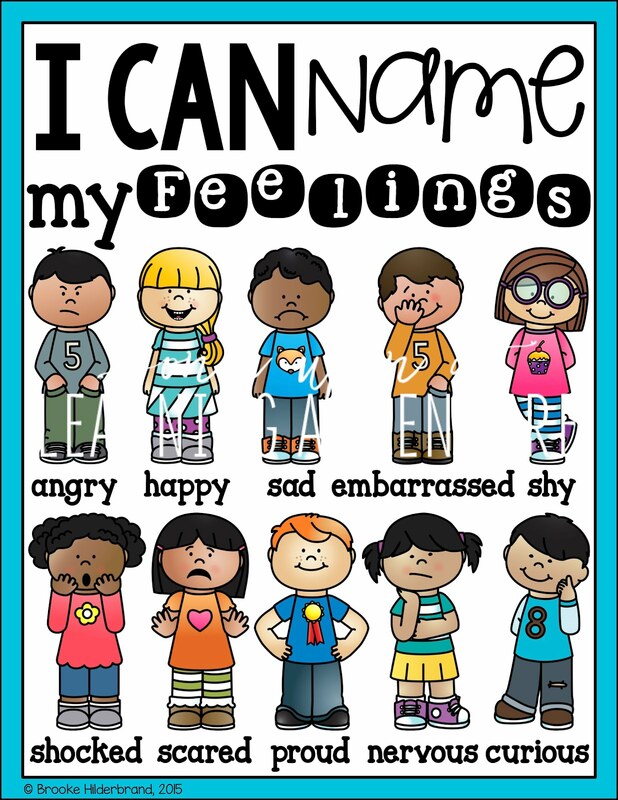 Here is one of our most-used Cool Down Tools...The Feelings Chart. 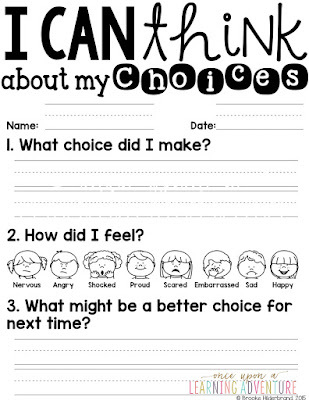 Students are encouraged to think about how they feel about the choice they made. 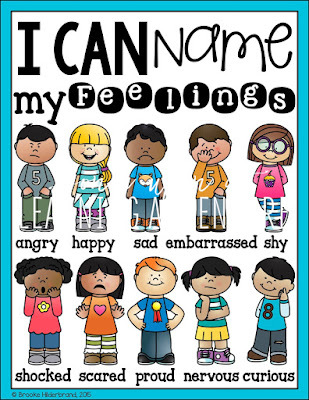 Sometimes having the visual really helps students to identify exactly which emotion they are feeling, and it helps them branch out from the typical answer of feeling "sad." 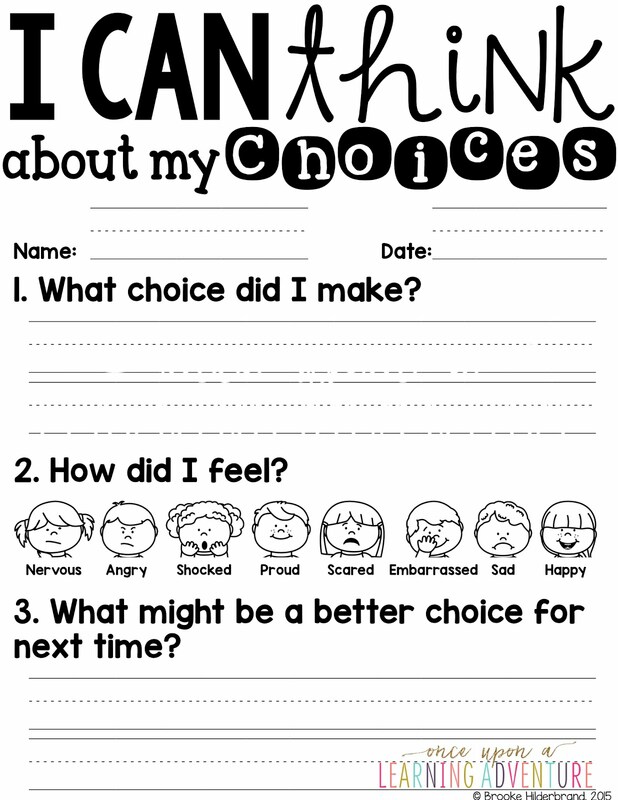 Here is an example of a reflection sheet I keep at the Cool Down Spot. I keep a few different versions in the Tool Box so that students can choose to write or draw depending on their level. When students feel they are finished reflecting, they are welcome to return to their spot with the rest of the class. 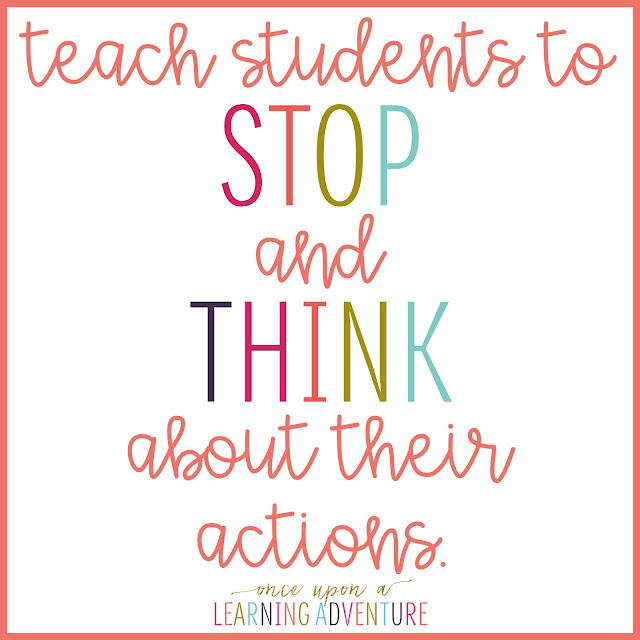 Sometimes, I will chat briefly with a student to help them in processing their reflection, but other times, I don't always do this. I think the most important idea to remember is that this is not a punishment, but rather, a learning experience. 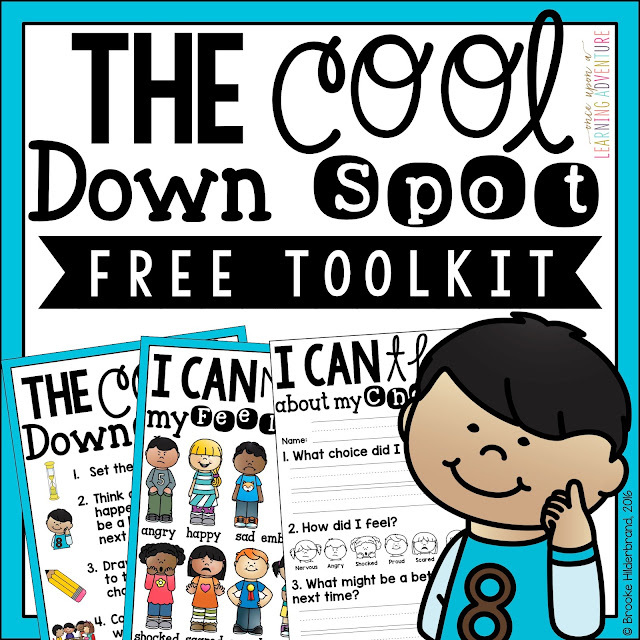 If you would like to download my Cool Down Spot Tools and Reflection Sheets for your own classroom use, click the image above to head to my TeachersPayTeachers store for the FREEBIE. 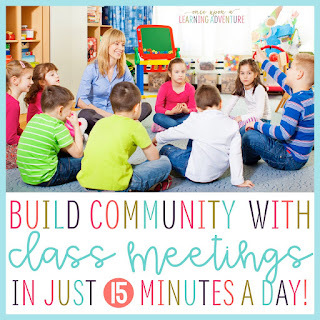 Thanks so much for popping in, and I hope that these resources can be helpful to you as I know they have really made a difference in my own classroom! 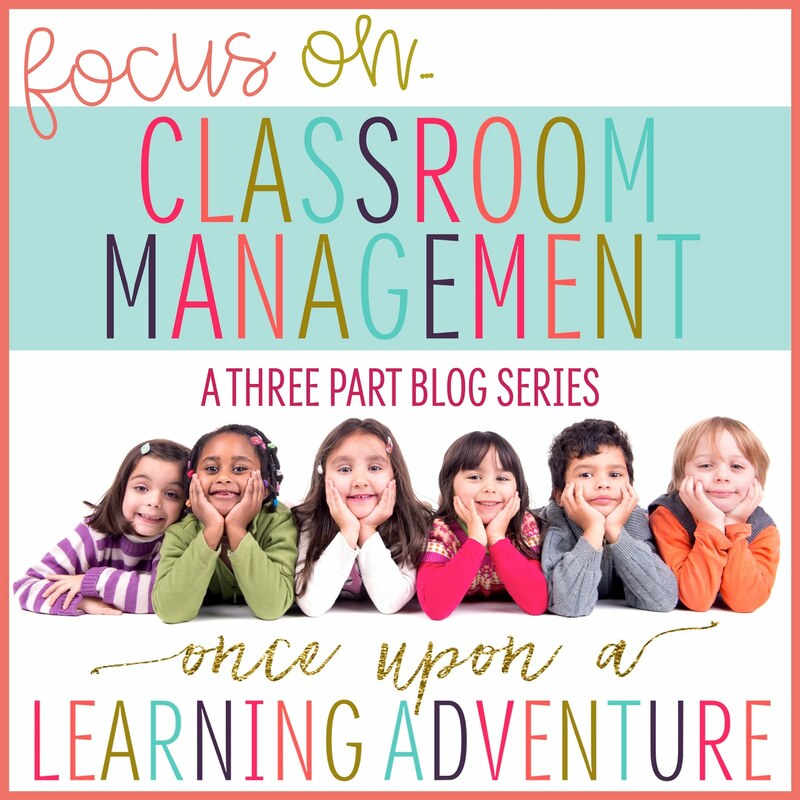 If you found this blog series helpful and would like to learn more classroom management tips, check out the posts below! Thanks for such useful materials! By the way, if look for something or someone to help you out with doing your school assignment, then I’ll be able to help you out. Here’s one of the most trustful site to get quality essay writing, who’d write you the best assignment for sure. Just click the link above you’ll get into one of the most demanded and most professional companies that specialize themselves in this business. For that kind of problem I may recommend you to read about a paidpaper.net and use the help of these guys. I made it for a few times and after that I may safely recommend this service. These are very interesting and good practices, it is quite possible that many inexperienced or simply young teachers will be able to use it in their future practice, I think that they also use pretty often academic-consultants.com during their training. you seems like a perfect teacher. I wish I had such a brilliant and creative teacher back in my school days. your little students are happy to have you.